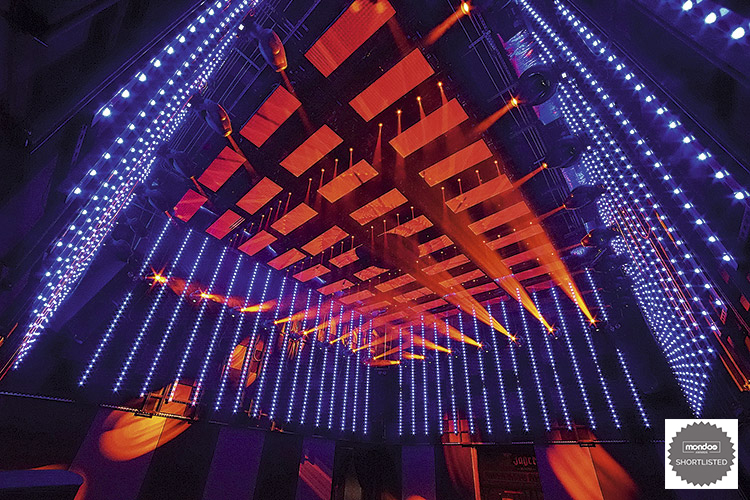 Despite only opening earlier this year, My Way has really set the standard, with a truly phenomenal lighting and visual installation, along with a state-of-the-art audio system, that catches the attention of the nightclub’s many visitors. 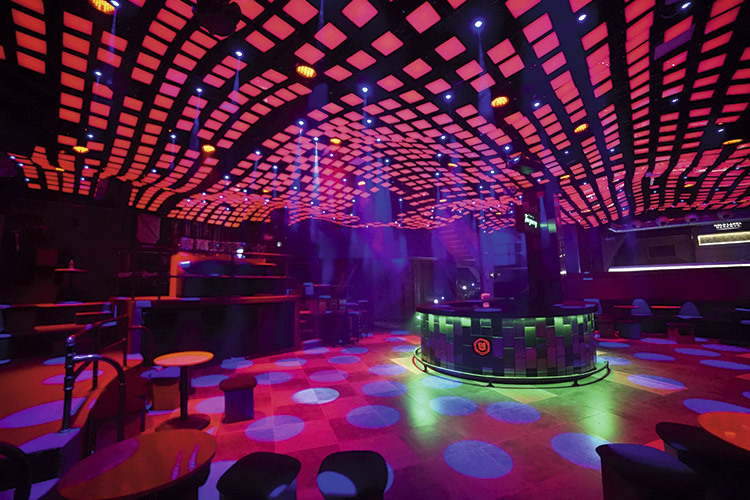 Inside, the club is split into three main areas – the bar, the cube and the dancefloor – along with the terraces. Each of the zones within My Way has its own distinct style, which is something that had to be taken into consideration by Ricardo Flores, the Director of RFDesign, who was the Project Manager for the whole installation. 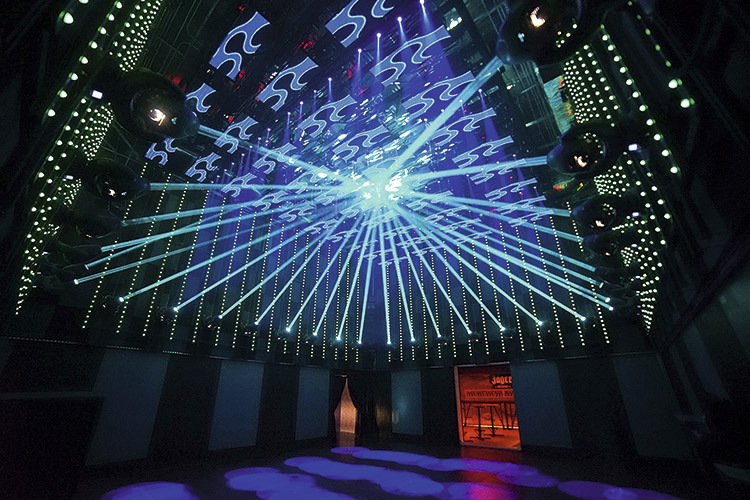 A wide range of DTS moving heads were used to deliver dynamic lighting of the main areas. Overall, there are 30 JACK moving heads fixed to the wall along the perimeter of the cube, which is one of the main attractions inside the venue. 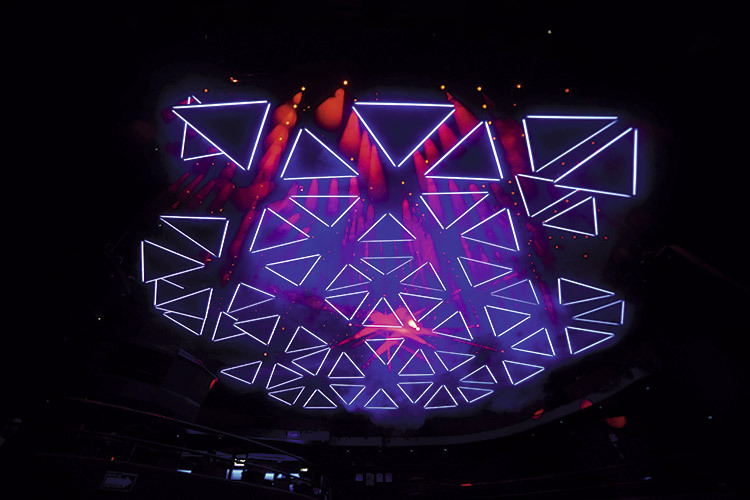 The use of DTS fixtures allows the design to come to life, with their projections creating a series of luminous geometries to a spectacular effect. Elsewhere, there are 23 MAX moving heads and 10 NICK NRG 1201 fixtures are hanging above the dancefloor, which colour the entire area for the ideal atmosphere for My Way. For the lighting control, Compulite Vector lighting consoles were installed, which had been used before by Ricardo on previous projects. 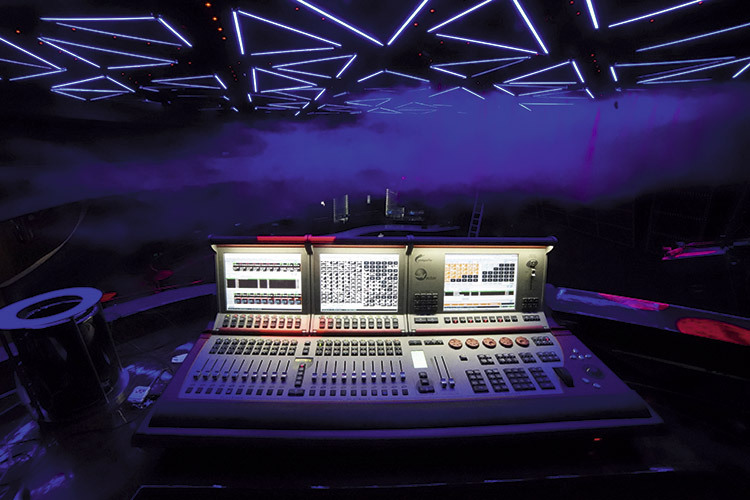 For both the motor and lighting control, CueLux Pro software, a console-like software made by Visual Productions, was used, which offers incredible precision for motor control. When it came to the audio install, the systems were all based on the needs of each specific area, so the three main areas all had separate audio installs. In the bar area, RFDesign installed their own custom-made five-way audio system, which is comprised of systems that were developed by Richard Long in the seventies and eighties and Gary Stewart in recent years. The system has manual control for super-high frequencies and, at the front end, there is a Bozak AR-6 mixer, along with an EQ-6 equaliser and Pioneer CD players. 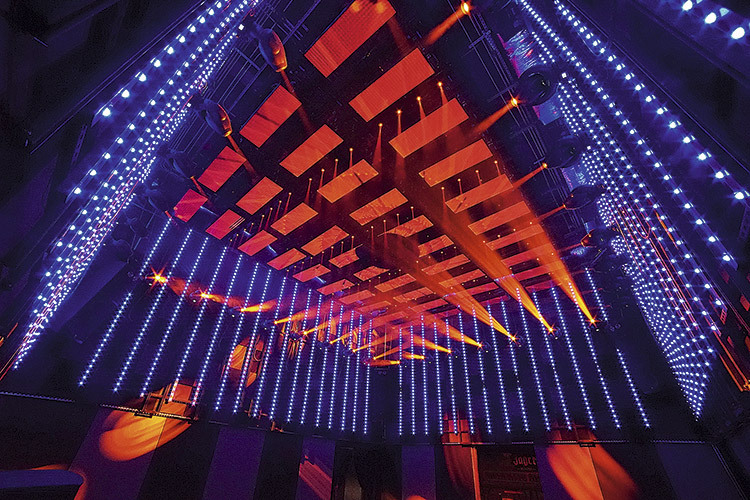 For the cube, a JBL Professional Marquis Dance Club Series system was installed across the whole floor, delivering a powerful, electrifying sound that is well suited to the club setting. The setup also features BSS Soundweb London processing and Crown amplifiers for power. Within the main dancefloor area, which is the largest section in My Way, the sound had to be perfect. This led Ricardo to choose a system from Adamson, with additional super-high frequencies via JBL Professional tweeters, Lake processors and amplification from Powersoft. My Way has established itself as one of the most prestigious nightlife venues in the country and has already become a reference for it use of sophisticated audio, lighting and video systems.